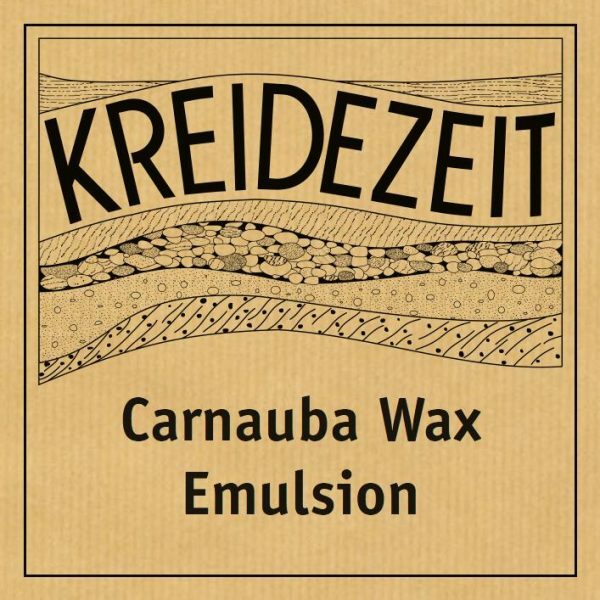 Carnauba Wax Emulsion maintains and protects oiled wood surfaces and floors. 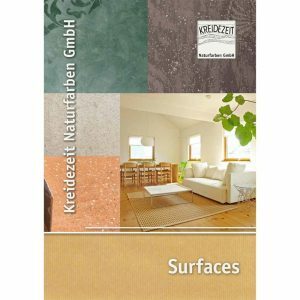 It is also used as a protective coat for specialist plaster finishes, such as Tadelakt. 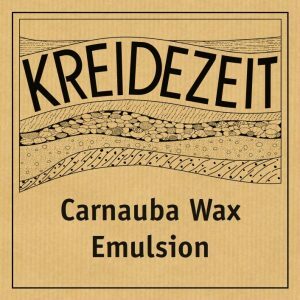 Kreidezeit Carnauba Wax Emulsion is a very rich concentrate for dilution with water and therefore extremely economical. It has a natural gloss but can also be polished if you require an extra level of sheen. Obtained from the leaves of a Brazilian species of palm tree, the thin wax film is water-repellent during the rainy season and protects the leaves from drying out during the summer. Caring for oiled and waxed surfaces. Protection against abrasion, dirt, dust and water. Protection of untreated interiors of wooden cabinets. Light Impregnation of untreated wooden beams and panels. A protective and decorative finish for polished plasters. Water, carnauba wax, emulsifier based on natural fatty acids, food preservative: potassium sorbate (E202).